Full color illustrations fill the pages. Their whimsical nature are meant to accompany the fun format of the book. Actual pictures of each insect and a more in-depth background are presented in the final pages. Explore the fun and fascinating world of insects through this lively question and answer book. Do dragonflies breathe fire? Do stink bugs take baths? Do bed bugs wear pajamas? The silly questions—the kind kids often ask—are followed by informative answers, sure to make every reader eager to learn more about insects. Kids will delight in this engaging, interactive read-aloud, and educators, parents, and budding naturalists will enjoy the detailed illustrations. With an extensive authors’ note, this book provides an exciting introduction to insects, suitable for any science lesson. Additional back matter on each of the insect species will inspire further study. 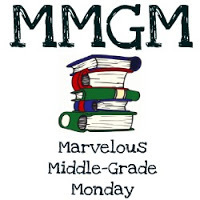 This entry was posted in non fiction, Reviews and tagged Artemis Roehrig, Corinne Demas, Do Doodlebugs Doodle?, Ellen Shi, Middle Grade Non-Fiction. Bookmark the permalink. 4 Responses to DO DOODLEBUGS DOODLE? Young readers love books formatted in this way! A little humor is always good for readers of any age, too. Thanks for sharing this book with us, Greg. What a fun and interesting book — just the kind of questions kids might ask! I am a sucker for bug books. Thanks for telling me about this one. I will check it out. I love those questions. Now for the answers.